Very comfortable leather armchair from the timeless and elegant collection William. 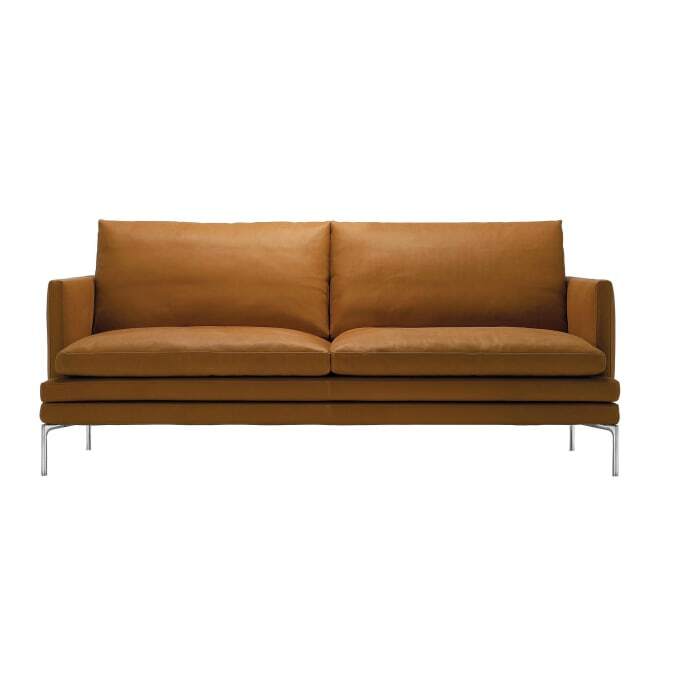 The feet of the sofa series william are made of polished aluminum alloy, the frame is made of steel. 99 leather (full grain chrome tanning, dyeing with aniline finish, natural colored). The following designs of leather colors to choose from: black, cigarobrown, brown, Teak Brown, charcoal, gray, light gray. other leather and fabric covers on request. Do you have a question about "William 1330"? How can we contact you?